the sample information form complete with barcode label (used to identify the sample in the laboratory). Turnaround is extremely fast with all samples being analyzed and diagnosed by the end of the next business day (as long as the samples arrive at our laboratory before noon in our prepaid sample bottle with a correctly filled out sample information form). The usage of other sampling containers does result in delay of analysis and does create extra cost for manual handling of the sample in our lab. 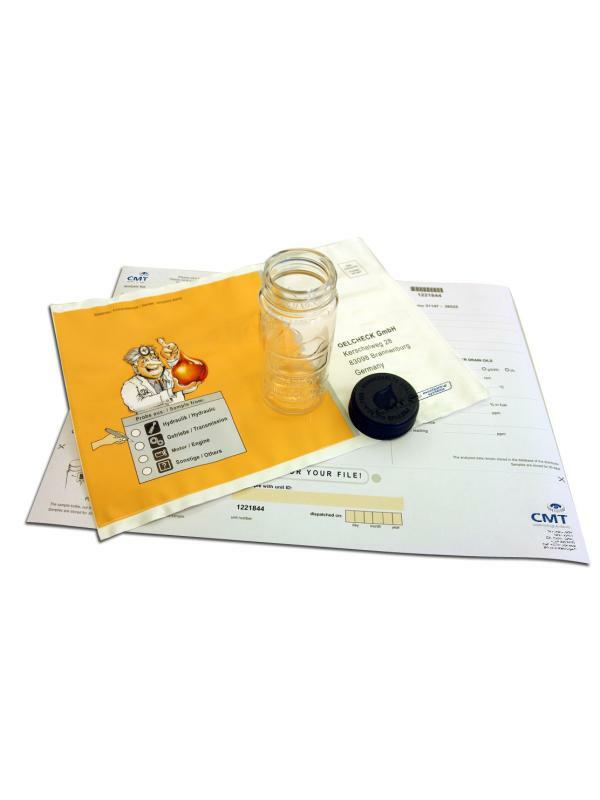 Our Sampling Guide does detail the necessary steps for sampling and shipping the sample bottle to our laboratory. Scope of analysis can vary with oil type. Description: “x” Used oil samples from different compartments for analysis only. Content not restricted according GGVSE/ADR/RID, IATA/DGR, GGVSee/IMDG.